Picking out and purchasing presents can be such a disaster for those of us who just do not have the time to spare. If this rings true for one gift, then imagine the horror of having to hurriedly do all of your Christmas shopping with just hours left. 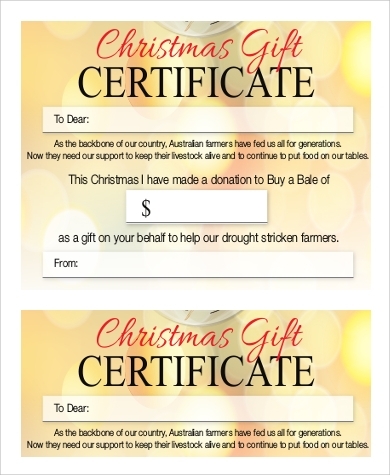 For such time-challenged individuals, gift certificates template are the stuff of miracles. 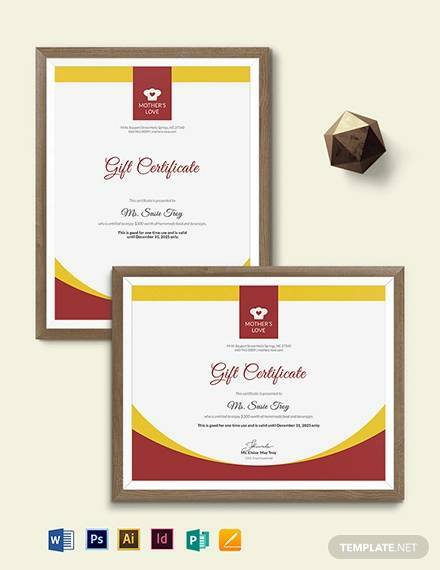 Also known as gift vouchers or gift tokens in different parts of the world, these sheets are basically cash alternatives. 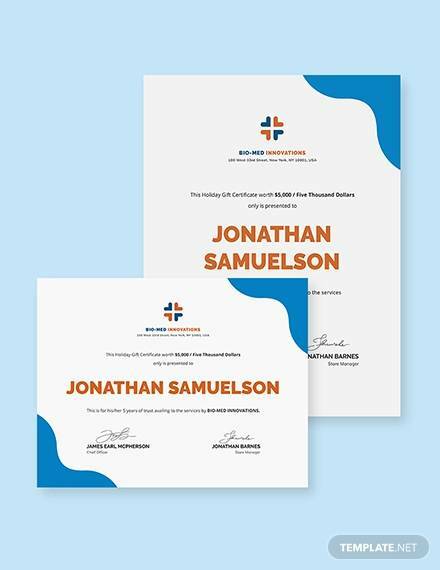 So if your business or store has yet to offer gift cards, then start doing so with the help of these Sample Certificates and be a miracle worker to the time-oppressed. 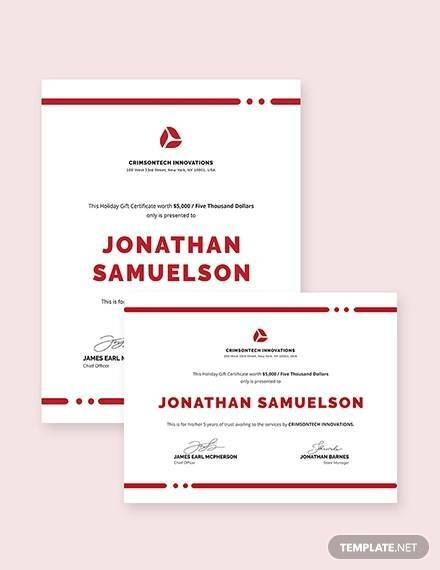 And if you find any that are customizable to suit what you have to offer, then these templates are free for printing. 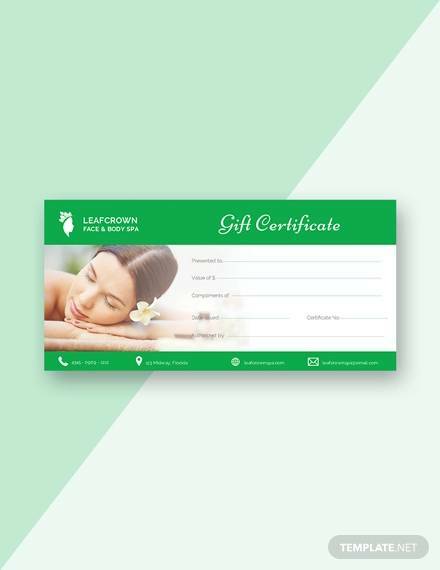 The very first gift certificates were said to have been introduced in the 1930s. Major department stores had then offered gift certificates upon request by their most valued customers. 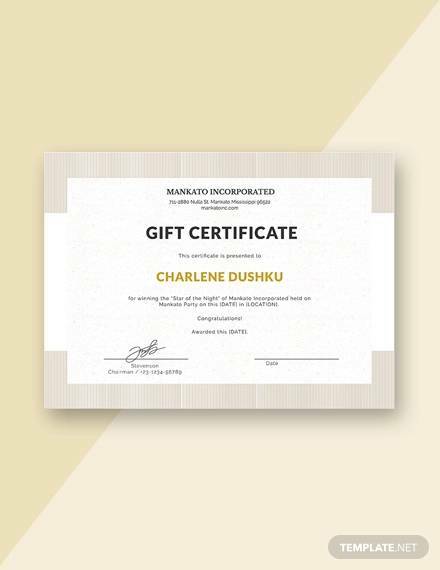 Years later, other establishments like restaurants and malls began making gift certificates available to the wider public. 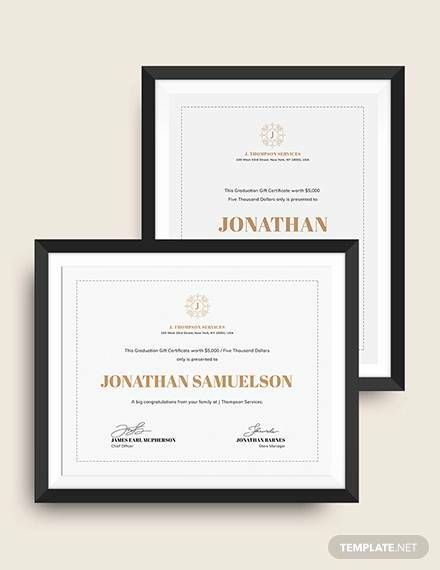 A certificate proves something. 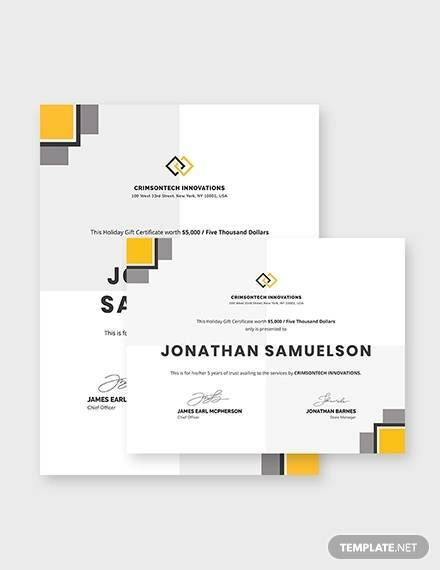 For instance, a college degree like in these Sample Graduation Certificates. It attests and corresponds. In this line, a gift certificate represents something of value, and traditionally, this is cash. 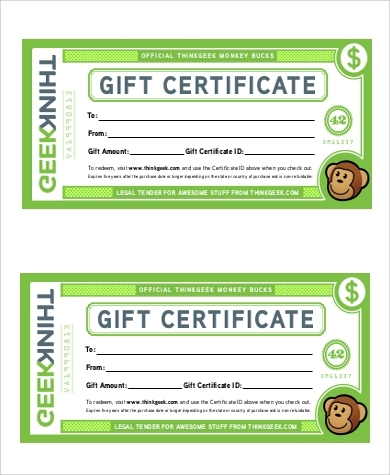 Since its first use, gift certificates equate to a certain amount of money. 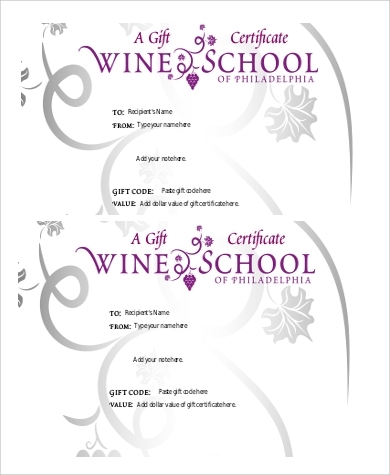 Various gift certificates come in a range of different price points. Later on, gift certificates became equivalent to an establishment’s products and services too. 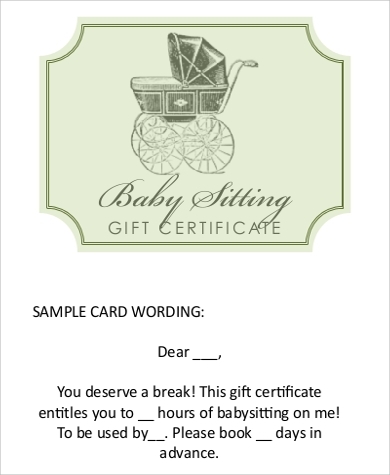 Basically, the gift card came after the gift certificate. 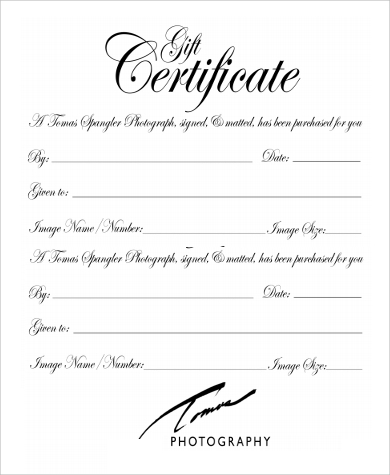 As they gained popularity, people began making counterfeit gift certificates. That they were on paper made them easy to replicate. Thus the introduction of gift cards, in an effort to address the forgeries. A gift certificate is for a single use only. It corresponds to a single offer, product, service, or amount of money. 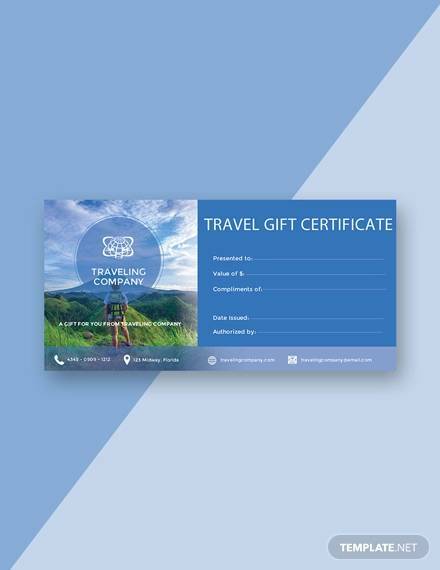 On the other hand, a gift card may be used as often as the cardholder could. Once the amount that it holds has been maxed out, it could still be used again. 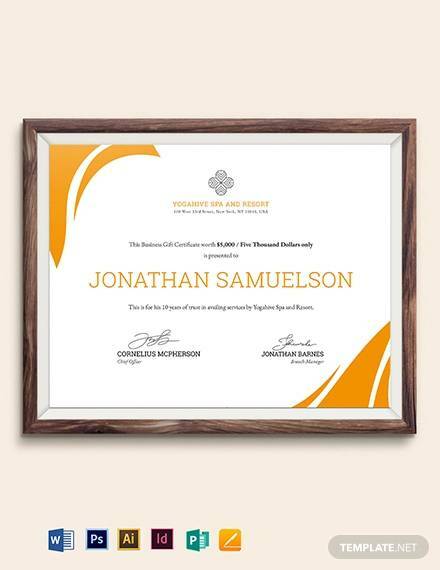 The individual that carries the gift card racks in credits or points equivalent to offers with every purchase from the store. 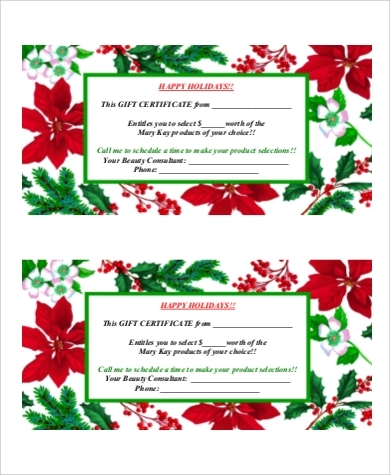 Specify and decide on the money or services that you want to offer on your gift certificates with the help of these Sample Blank Certificates. 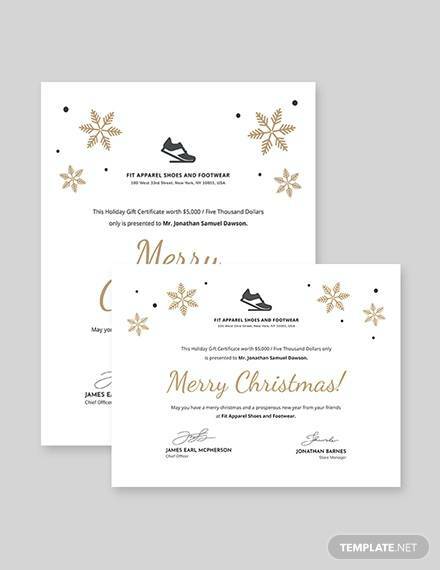 Easily create gift certificates with this selection of Printable Certificate Samples. 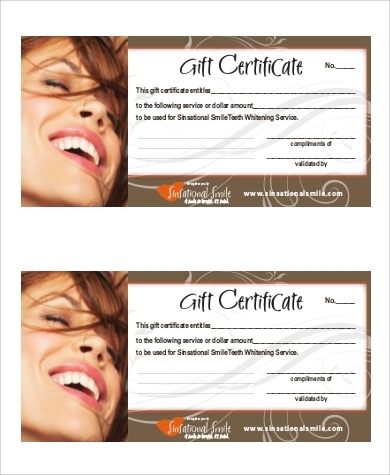 On the affirmative side, people love gift certificates because of the free reign that it gives. 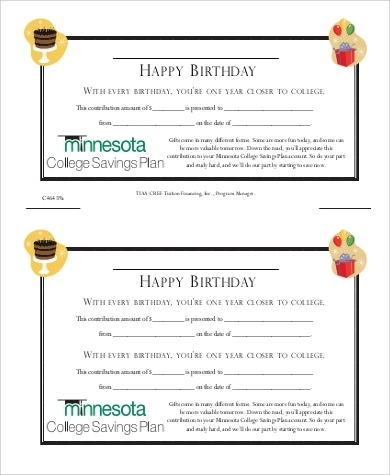 People who cannot decide what to present for their friends’ birthdays, or are afraid to give presents that the recipients may turn out not to like, may settle for gift certificates. With these, you are allowing your friends to pick out what they actually like. 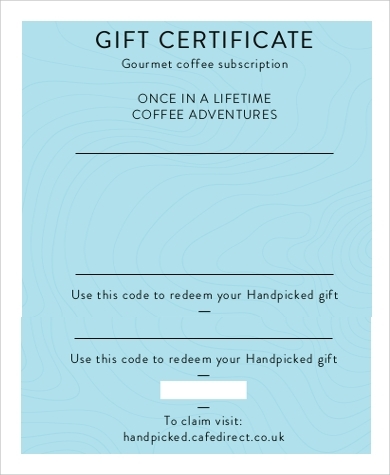 By contrast, others find gift certificates lazy and unoriginal; like they have been given without a single thought nor sentiment. 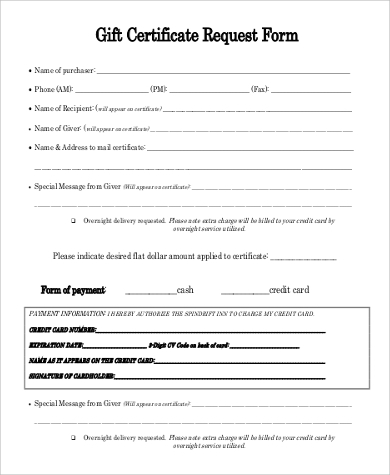 As a resolution, really try to spend some time figuring out what to give someone, and settle for gift certificates as your last resort.